The 20th INFORMS Applied Probability Society Conference, July 3-5, 2019, Brisbane Australia. We are delighted to announce the 20th INFORMS Applied Probability Society Conference taking place at the Brisbane Convention Centre, Brisbane, Australia, July 3-5, 2019. February 28, 2019: Confirmation of organized sessions. March 15, 2019: Closing date for student support applications. March 31, 2019: Abstract submission closes for all talks. April 21, 2019: Confirmation of acceptance of abstract. May 15, 2019: Final date for early bird registration. Queues, Modelling, and Markov Chains: A Workshop Honouring Prof. Peter Taylor, June 28 - 30 (with optional excursion 1 July). Applied2 Probability, July 2 taking place at The University of Queensland, Brisbane. Register here. This is a satellite workshop dealing with concrete applications and is organized by CARM. 12th International Conference on Monte Carlo Methods and Applications (MCM2019), July 8 - 13 taking place in Sydney, Australia. 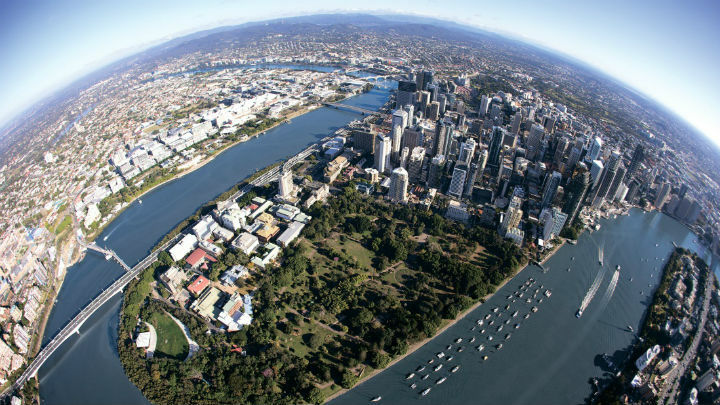 16th Workshop on Algorithms and Models for the Web Graph (WAW 2019), July 6 - 7 taking place at The University of Queensland, Brisbane. The conference will also have an open problems session. Registered participants will receive an email with more details after the early bird deadline (May 15). Local and General Arrangements: Yoni Nazarathy, Fred Roosta, Sarat Babu Moka, Nan Ye , Russell Suschida, Vektor Dewanto, Liam Hodgkinson, Rixon Crane,Yang Liu. Program Arrangements: Giang Nguyen, Thomas Taimre, Marijn Jansen. Scientific Advisory Committee: Nigel Bean, Dirk Kroese, Phil Pollett, Peter Taylor. Queues, Modelling, and Markov Chains: A Workshop Honouring Prof. Peter Taylor: Azam Asanjarani, Sophie Hautphenne, Mark Fackrell, Slava Vaisman, Ilze Ziedins. Applied2 Probability: Ivo Adan, Konstanin Avrachenkov, John Boland, Jerzy Filar, David Goldberg, Matthew Holden, Roxanne Jemison, Ross McVinish, Joshua Ross. For more information please email: informs-aps@uq.edu.au.